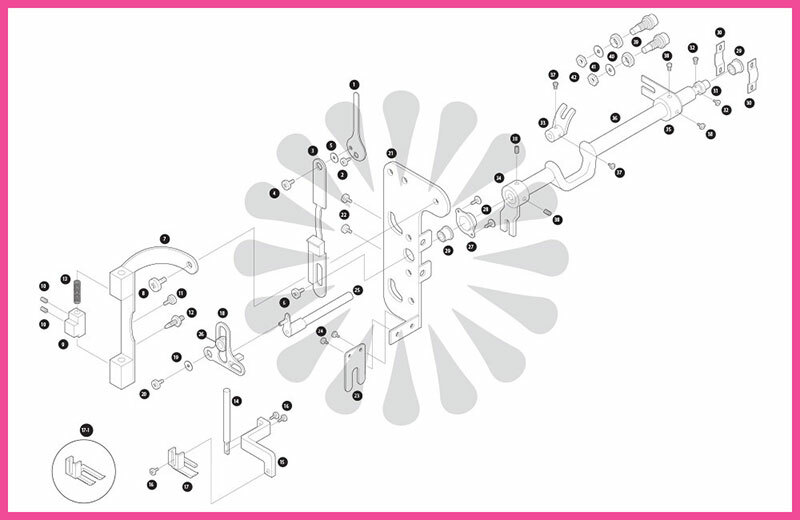 A sewing machine parts exploded view in the technical manufacturing manual. 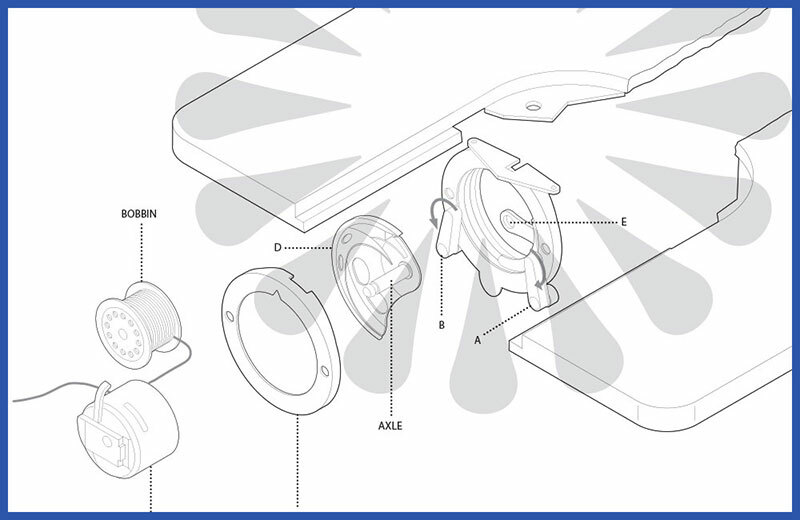 A sewing machine user manual illustration showing the housing for the bobbin and components on the sewing machine. 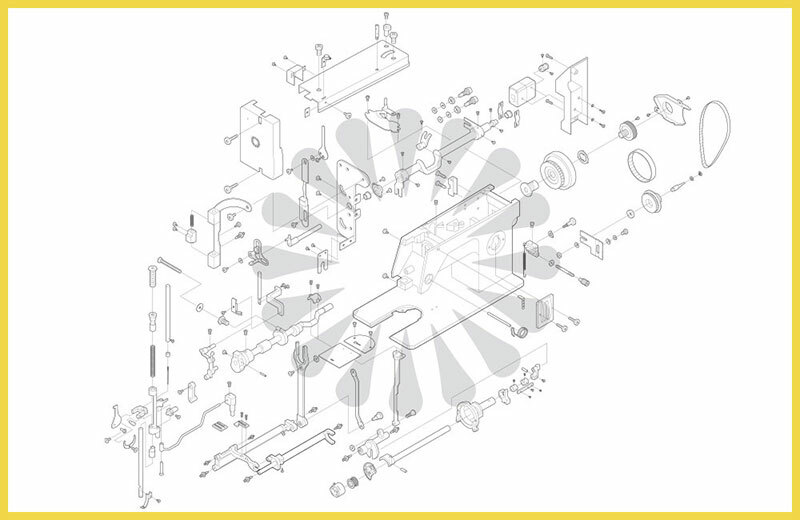 Client: Reliable Corporation: A sewing machine parts exploded view in the technical manufacturing manual.